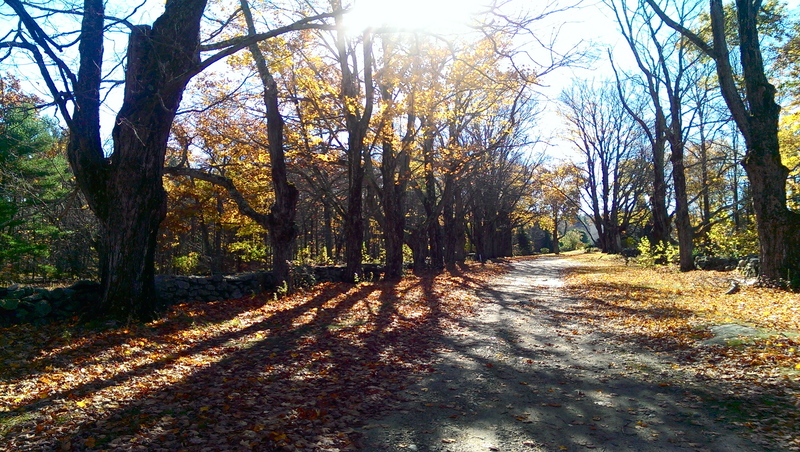 « Vermont and… Omega-dness – a wee detour to New York! 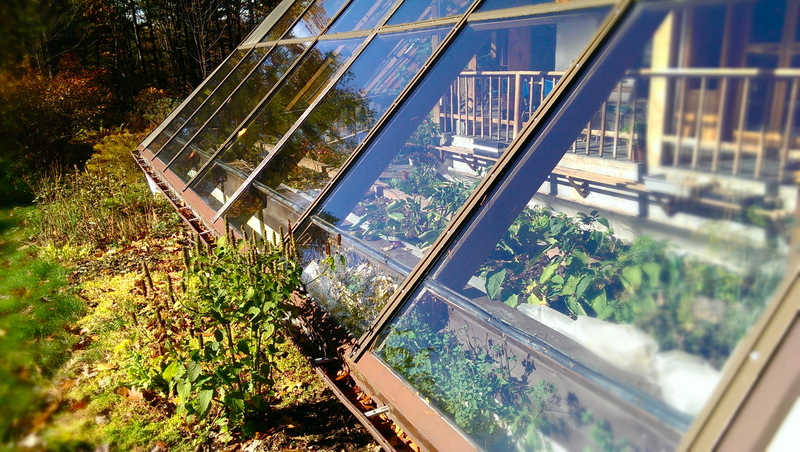 In the tiny, unassuming town of New London, NH, Colby-Sawyer College is on the leading edge when it comes to permaculture on campus. A few students gave me a tour of the installation and design work that’s happened there in just a few short years. There are multiple permaculture gardens where the PDC students’ design projects have been turned into reality. Every time students go for a meal at the dining hall, they pass by these gardens, contributing on a huge scale to the visibility of permaculture in the mainstream. 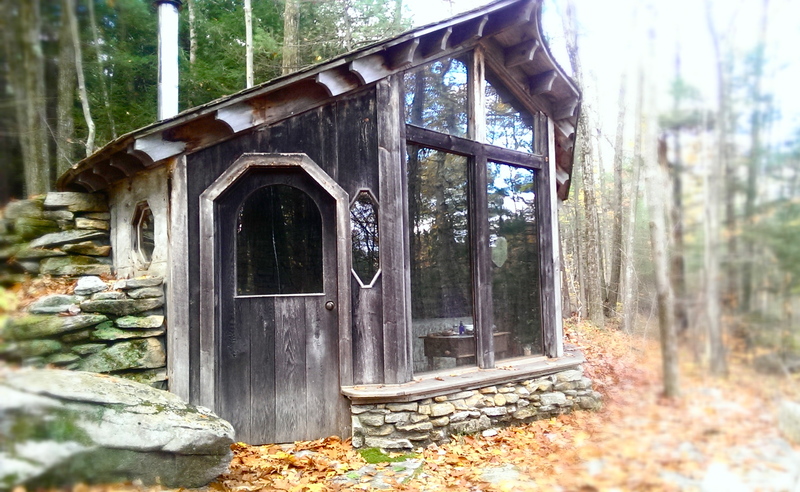 I marveled at the SunShack, a new strawbale natural building designed to maximize passive solar gain. Cob benches encircle the post and beam interior of this functioning classroom. 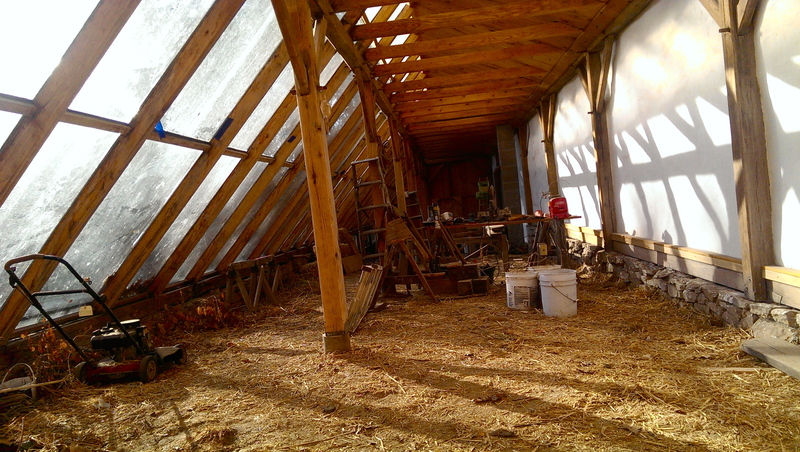 The building was collaboratively designed with the input of students, permaculture teachers and professors. Leaving the college and winding over bumpy hairpin turns through sheets of rain in the dark rural countryside, I was relieved to make it to my next home in rural Acworth. 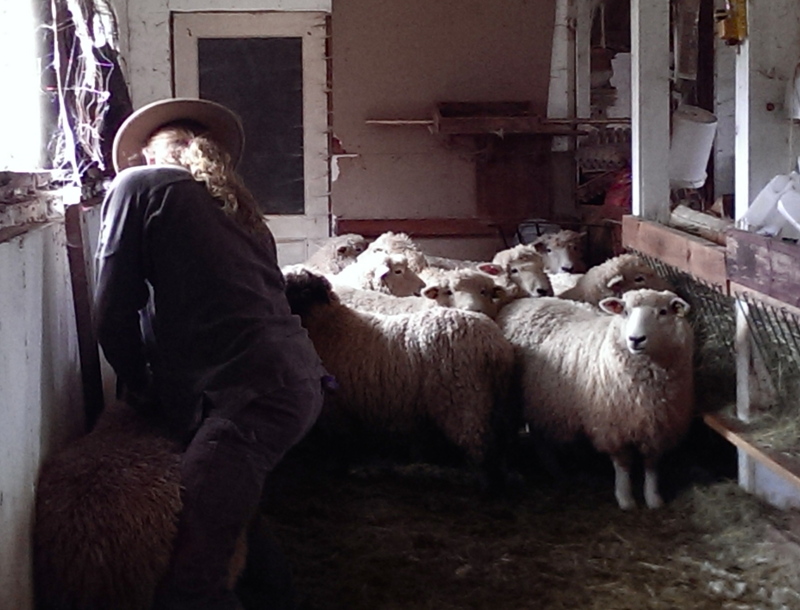 Liv is a young artist and environmental educator with an interest in permaculture and farming. She’s living at the farm of Barb, who welcomed me warmly into her longtime home, which, as it turns out, is intended for just such things. 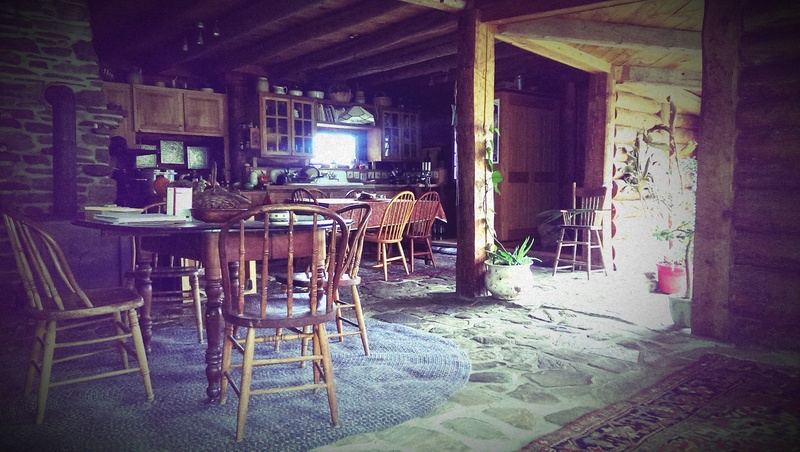 I took a day to relax in her beautiful log home with stone floor and a wood-burning antique cooking stove. Barb is a potter, and I spent the afternoon warming myself by the fire, entranced by the perfect shapes that seemed to appear out of nothingness in her steady, barely moving hands. I listened to stories of how she bought the land three decades ago and began farming organically when it was considered a weird hippie thing. 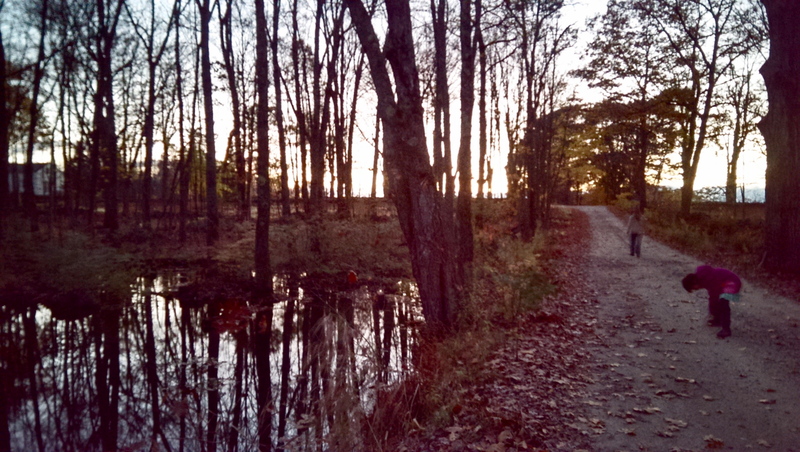 They formed an intentional community and land trust, growing the protected area to over 200 acres. 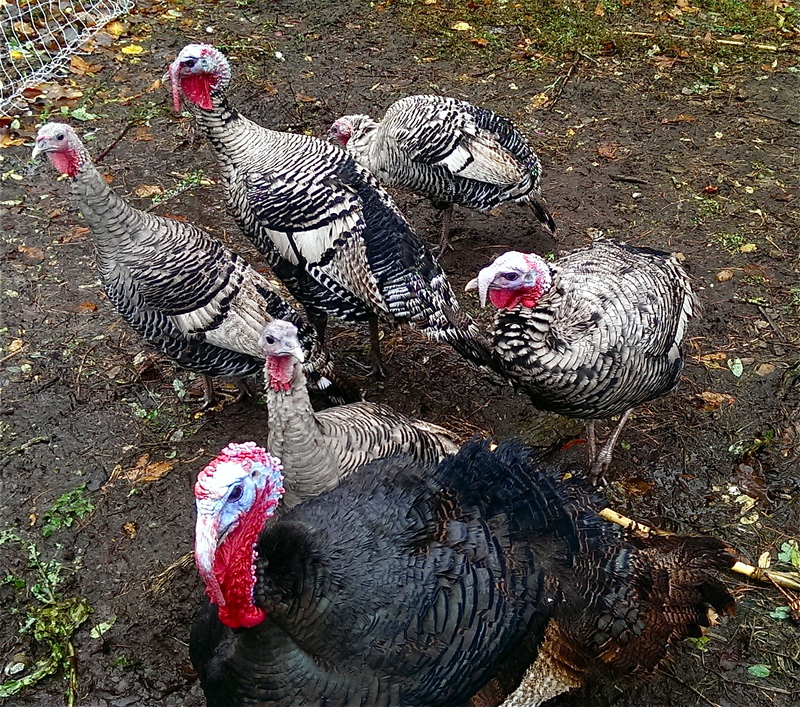 I wandered the farm during a brief pause in the rain, passing rows of blueberries and saying hello to the turkeys. A young newlywed couple is helping to tend the land in exchange for affordable rent while they look for places to start a homestead. 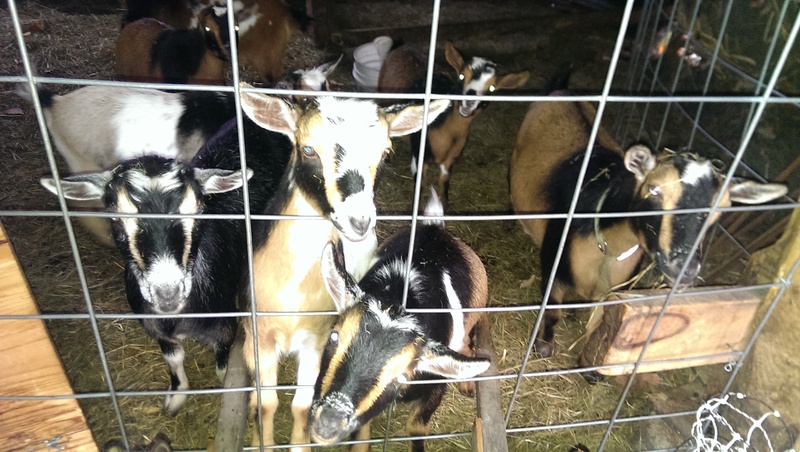 She showed us how to milk their goats, an adorable pint-sized variety. I began to realize how much of a lesson in patience this is. She was completely unfazed when the ewes kicked up into her face. 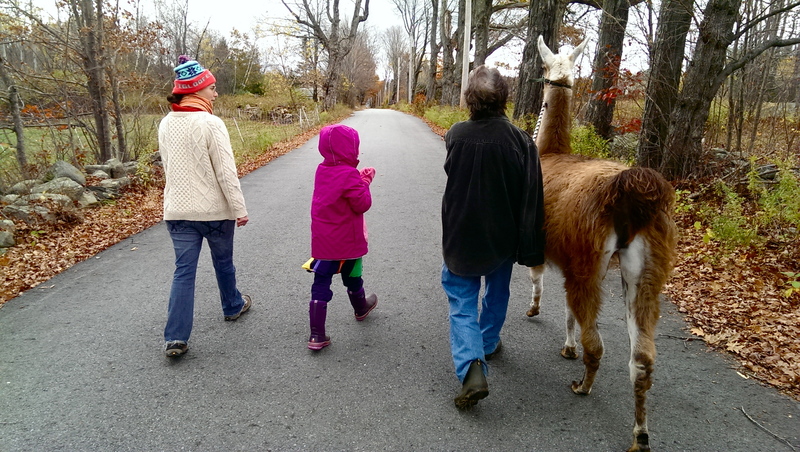 She explained that she’d never dreamed she’d be a homesteader, but once she met her now-husband, a farmer, she got the goats as a way to learn about managing a farm. Excitedly showing us pictures of the kids when they were babies, she was clearly hooked. My last stop before heading to back to Massachusetts was the Orchard School. Liv leads an after-school kids’ program there with a fellow named Marty. 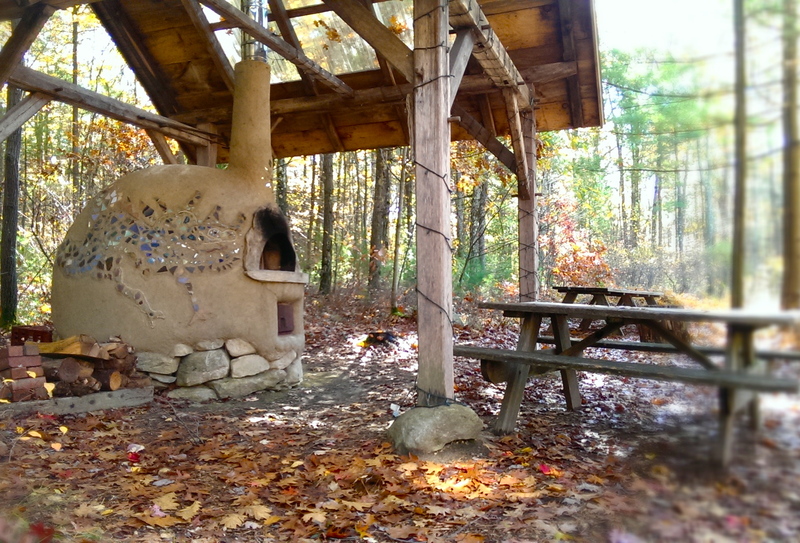 Orchard Hill is an intentional community with a non-profit and also several independent businesses. There’s the kindergarten and daycare, an organic orchard producing apples for hard cider, a famous bakery where I tried a delectable slice of focaccia, and Village Roots, Marty’s farm business selling veggies, grains, and pasture raised meat. This structure seems to be working really well – Marty thinks it’s because each business is its own separate entity with autonomy and responsibility for generating revenue. Very little is actually shared communally, except for the laying hens. But they do many trades and sponsorships. For example, when a PDC is offered through the permaculture business, the school and the orchard sponsor it with meeting and accommodation space, while the bakery and Marty’s farm provide the food. Talk about a productive business ecology! 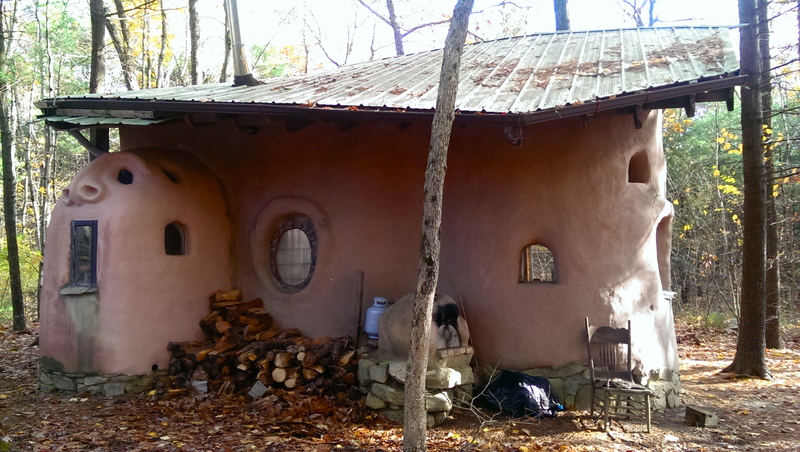 Their homestead is a light clay fill natural home with a beautiful clay paint exterior. It’s surrounded by a young forest garden and a series of paddocks where various animals are rotationally grazed in sequence. Like the pigs at D Acres, each of the animals performs a different function, helping to build and replenish the soil before planting crops like rye. Integrating animals is a smart thing to do, because it means a lot less work for the farmer! Will, who is involved in the Slow Money movement is working on a “new economy” gifting model. Under this structure, an asset – like a piece of farmland – could be gifted to another person who can utilize its productive capacity to generate a livelihood for as long as they need it. When they’re done with it, the person would gift it on to someone else. I should mention here that economics not my strong suit and my explanation is probably butchering the particularities of their visions. But the general idea is there, and it’s inspiring as hell. We went for a late afternoon wander with Kyra’s delightful seven year old daughter Safia. In the so-called “Magical Wintergreen Forest,” we ate minty wintergreen berries and explored the ruins of old stone homesteads. The properties are lined with crumbling stone walls from the days of sheep farming centuries ago. Their home is actually an old one-room schoolhouse built in 1790, somehow still functioning as a warm and welcoming place to live. There’s a sense in these tiny towns that time just decided it was in everyone’s best interest if it just stood still. 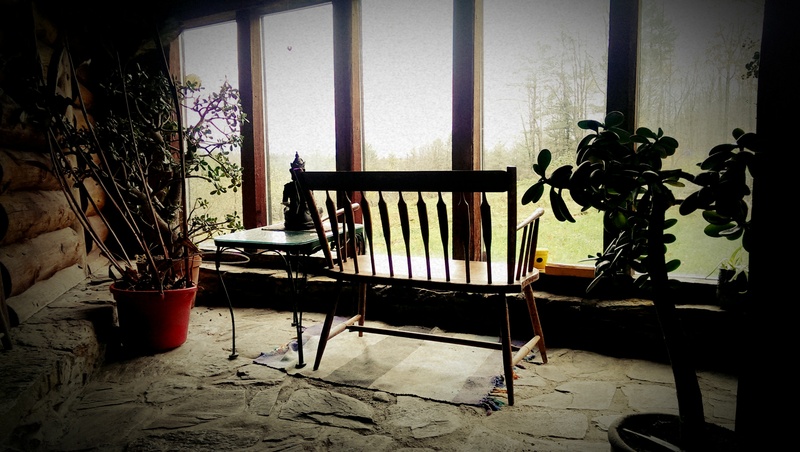 Everyone I have met outside the cities heats their home with a woodstove. The diet here is post-vegan and local to the core. The local general store is owned, interestingly, by a land trust. It’s a hub where community folk linger over tea, offering access to many of the region’s foods and other locally made products in one place. Nearby farms supplied all the ingredients for our nourishing meals – pork belly with roasted turnips, spiced pumpkin soup, raw yogurt and artisan bread – even the corn tortillas we ate with our eggs and greens at breakfast were made nearby with local cornflour. We garnished these with herbs from Kyra and Will’s garden, where the grapes were still sweetening with the cold. Will brought home a few local microbrews and we alternated these with chaga milk – raw milk with extract of medicinal chaga mushroom foraged from the forest near their home. It actually kind of tastes like chocolate milk! In return for their generosity, I brought home some fresh picked orchard apples, local honey, apple butter, and raw cheese. Western Mass is truly a foodie’s paradise! The icing on that cake was visiting Will’s family friends – his former elementary school principal, to be exact. Rise is now Safia’s principal at the Village School, a cooperative school with a focus on connecting children to nature. Rise cooked up her famous fluffy buttermilk pancakes, topped with to-die-for maple syrup from their own sugar house! She described how they tap the maples every year, boiling 95% of it off over the woodfire the same day it’s collected. Each tree will provide about a quart of finished syrup – and to be called “syrup,” it has to meet a very exact percentage of sugar content. Rise’s ulterior motive in feeding us pancakes was to get our (mostly Will’s) assistance moving their sheep. Safia and I looked on, wide-eyed, while they cleared the wool out of the sheeps’ eyes with the shears, and attached a tag to the ear of a little one. The sheep were separated into those that would be bred, and those that would be, well, converted into local happy meat. The wool is given to a local spinning cooperative that washes, cards and spins it. My favourite part was Lightning the Llama. He’s an excellent protector of the flock, and they all seem to enjoy each other’s company. One of the most important aspects of this trip for me has been speaking with people who are trying out different ways of living close to the land, and making a livelihood in cooperation with others outside the conventional system. 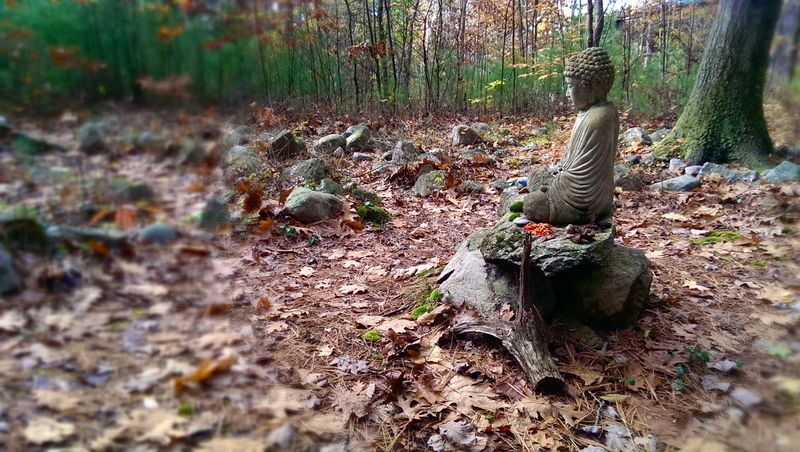 So I had to visit Sirius Ecovillage, a short country drive from Kyra’s in Shutesbury, MA. Sirius has beaten the odds, having been in existence for 36 years. 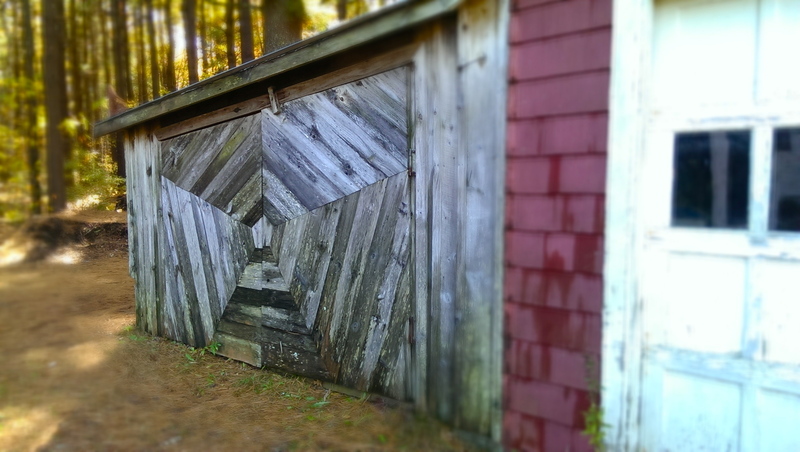 There’s a beautiful cob house, a large food forest with berries and fruit trees galore, and some very established permaculture gardens buzzing with pollinators and lined with comfrey and sunchokes. 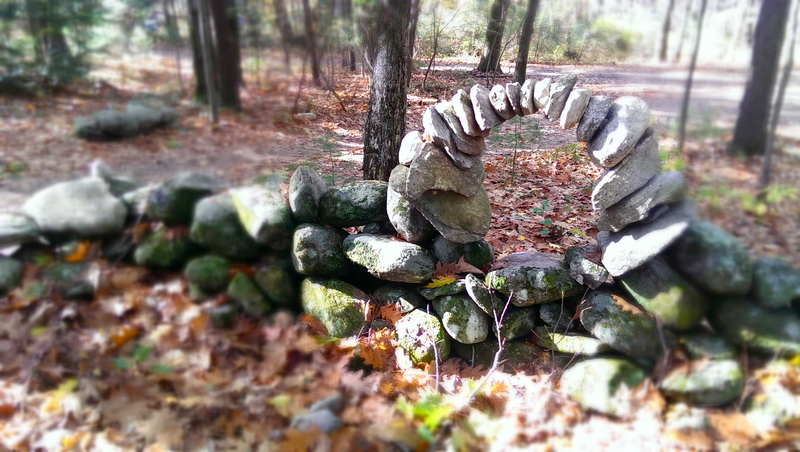 I wandered into the garden where harvesting and firewood chopping was in full swing. I was immediately welcomed by Devin, who invited me to join in for their weekly planetary healing meditation. In a circle, we offered up the names of individual people and groups for whom we wished the group to send healing energy towards. Meditation is core to the Sirius community, and I got the sense that this grounding in a shared spiritual practice is a key means of keeping the community strong. Lunch was a feast of potato and corn chowder, an artful display of salad greens, and buttered Brussels sprouts, all from the garden. Before eating, we held a gratitude circle reminiscent of many I have shared at O.U.R. Ecovillage. Several of the villagers joined me for lunch, patiently humouring my questions about how the community functions. They each take turns cooking and paying for meals, and can opt in for an affordable monthly share of the garden’s bounty. Like O.U.R. Ecovillage, there are many ways that people are involved, including apprenticeships, internships, residential programs, and PDCs. The villagers were very curious to hear about my experiences at O.U.R. Ecovillage as well as my permaculture research and travels. After lunch, I was invited to join a group discussing education and how to engage more youth and children at Sirius. In just a few short hours, I’d made genuine connections with new friends and felt a part of the community. 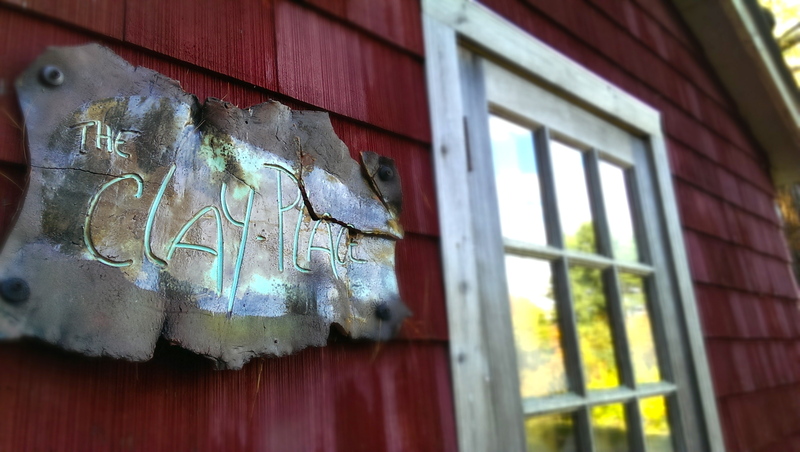 Such is life in places like this – it’s why intentional communities draw my interest so deeply. Learning to live and work with one another is, I think, the hardest part of trying to create a more sustainable existence. But as Sirius shows, the payoffs are well worth the effort: a deepened sense of place, genuine relationships, and a stronger connection with the living systems that we all depend on.